The end of 2012 is near. Textkernel looks back on a year of renewal, expansion and internationalisation. A complete restyling of the brand and website, opening of two new offices abroad and launching Match!. We have accomplished a lot thanks to our customers and partners. Let’s look back on what the last year has brought Textkernel. 2012 is the year of renewal. Textkernel has completely restyled its look and feel. This is reflected in a new logo, a new website that focusses on our recruitment tools, new brochures and a new stand. 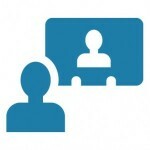 Visibility and recognition are important aspects for Textkernel, both in 2012 as in the future. 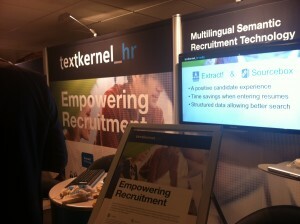 Textkernel specialises in multilingual semantic recruitment technology. 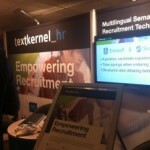 The ‘multilingual’- aspect is a factor that distinguishes Textkernel in the international market. For this, Textkernel received two awards in 2012. 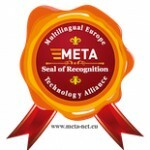 The META Seal of Recognition, for its contribution to the European multilingual information society with Extract! CV parsing and the LT Innovate Award 2012 for working towards a transparant European labor market. The international character is increasingly important to Textkernel. To better serve the European market, we opened two offices in 2012: one in Frankfurt and one in Paris. We are present at international trade shows and have expanded our international partner base. The international character is also visible in our product portfolio. We now offer CV parsing in 15 languages, with three new languages launched this year: Russian, Portuguese and Chinese. Search! & Match! are available in four languages: English, Dutch, French and German. Jobfeed is available in the Netherlands, Germany, France and Italy. In the last year we introduced some great products and features. The highlight of this year was the introduction of Match!. Match! automatically converts a job ad into a search and provides you with the best results in your database. There also is a connection with Jobfeed available. Jobs found in Jobfeed can be automatically matched to your database. This completes Textkernel’s product portfolio. With CV and job parsing (Extract! and Jobfeed) information is retrieved from profiles and job ads. With Search! and Match! this information is connected in a semantic way. 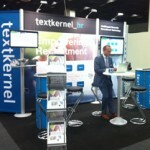 Trade shows and events are important to Textkernel. Also this year we have been present at some of the most important European events: Recruitment Agency Expo in London, Solutions Ressources Humaines in Paris, Zukunft Personal in Cologne and HR Tech Europe in Amsterdam. Besides that we also like to participate in partner events, such as those from Connexys, Persis and KWP this year. We are also involved in sponsoring academic technology conferences. 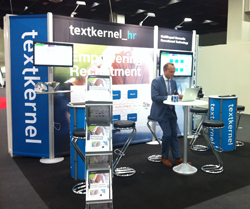 This year, Textkernel was present at CLIN (Tilburg), DIR (Gent), and EACL (Avignon). We would like to thank our (new) customers and partners for the pleasant cooperation in 2012. More and more customers use our technology. We are proud that we, together with our partners, are able to deliver a valuable contribution to the workflow of our customers. We would also like to thank our partners for the successful cooperation in 2012 and we are looking forward to a strong continuation in 2013!